When Should You Call a Doctor for Strep Throat? What Medications Treat Strep Throat? What Home Remedies Relive Strep Throat Symptoms? What Antibiotics Treat and Cure Strep Throat? Are the Complications of Strep Throat Serious? How Long Does It Take for Strep Throat to Heal? Picture 2: Streptococcal bacteria are grown or tested in the laboratory to confirm the diagnosis. The discoloration of the medium is characteristic of this bacteria. In those individuals who develop strep throat, the symptoms usually begin between 1 to 4 days after initially acquiring the infection (incubation period). The symptoms can range from mild to severe. The sore throat associated with strep throat is usually described as starting rather suddenly, and the tonsils and the back of the throat may appear red and swollen. Swallowing is usually painful, and thus some individuals may have varying degrees of dehydration due to lack of adequate fluid intake. Often times, however, it can be difficult for healthcare professionals to diagnose strep throat based on symptoms alone, as strep throat and a sore throat due to a viral infection can often have similar overlapping symptoms. However, the presence and absence of certain symptoms can make strep throat more likely. Although the presence of runny nose, cough, hoarseness, eye redness, muscle aches, ulcers in the mouth, and diarrhea make a viral infection more likely, the possibility of strep throat must still be considered by the health care professional. As previously mentioned, strep throat is most common between 5 to 15 years of age, though it can affect individuals of almost any age. Consequently, strep throat can sometimes manifest differently depending on the age of the affected individual, and special considerations must therefore be taken into account. Strep throat in infants: Strep throat in this age group is uncommon. Infants may feed less and appear irritable and fussy. A low-grade fever and nasal discharge may be present as well. Strep throat in children: Children will often complain of sore throat and painful swallowing. They also may eat less and complain of abdominal pain. Strep throat in older children and teenagers: Strep throat in this age group can be extremely uncomfortable, with individuals often complaining of a severe sore throat. The fever can be high and they may be ill-appearing. Strep throat in adults: Typically adults have milder symptoms and they may complain only of a mild sore throat. However, more severe symptoms are still possible in adults. Occasionally, some people develop bad breath (stinky tonsils) when tonsilloliths (whitish deposits on and in tonsils) develop. These deposits are often dislodged when the patient coughs, but in some individuals food particles get trapped and bacteria attack the food particles and produce the bad odor. Removal of these deposits may be done by a qualified healthcare professional. Strep throat is a contagious illness that is spread from person-to-person. It is usually transmitted by close contact with the saliva or nasal secretions from an infected individual, typically in the form of airborne respiratory droplets. For this reason, it is frequently seen in situations where individuals are in close proximity to each other, as in schools, college campuses, military barracks, day care centers, and family households. Food-borne outbreaks leading to strep throat are a very uncommon mode of transmission. Individuals with a sore throat, especially if accompanied by fever or other associated symptoms, should consider consulting a healthcare professional. It is often too difficult to know definitively whether or not strep throat is present without a professional evaluation. Furthermore, there are other serious causes of sore throat that may require alternative treatments (for example, a peritonsillar abscess). Finally, consider seeking medical advice if a person has been treated for strep throat and has not improved within 4 to 5 days. Although some of these signs and symptoms may be related to a strep throat infection, they can also be indicators of other emergent conditions such as peritonsillar abscess, epiglottitis, tracheitis, or retropharyngeal abscess. Strep throat is caused by infection with Group A Streptococcus (GAS) bacteria, specifically Streptococcus pyogenes. The streptococcal infection invades the pharyngeal tissue and causes a localized inflammatory reaction of the throat and tonsils. These bacterial organisms are often found in the throat or on the skin, and are responsible for other illnesses as well, such as impetigo (a skin infection). 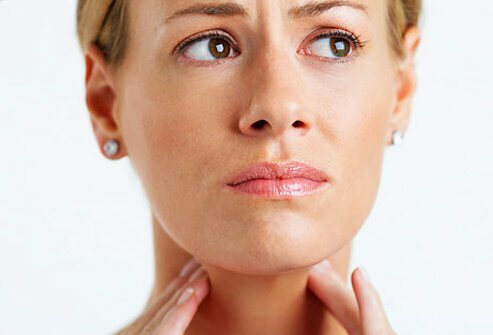 Some individuals may carry Group A Streptococcus in the throat or on the skin and not exhibit any signs or symptoms of disease (asymptomatic). Strep throat is most common in school-aged children and teens, with a peak incidence between 5 to 15 years of age. It is estimated that approximately 15% to 40% of cases of sore throat in this age group are caused by Streptococcus spp bacteria. Adults may also develop strep throat, though less commonly (accounts for approximately 5% to 10% of cases of sore throat). Strep throat most commonly occurs between late fall and early spring. It is more widespread during the school year when groups of students are present within an enclosed space. Though strep throat is the most common bacterial cause of sore throat, it is important to note that most cases of sore throat are in fact due to a viral infection (caused by a virus). A viral sore throat typically improves on its own and neither requires nor responds to treatment with antibiotics. However, the identification of strep throat is important to prevent the potential complications associated with this illness. Rapid antigen detection test: A rapid strep test can be done by healthcare professionals by gently swabbing the back of the throat and tonsils. The results are generally available within several minutes in some clinics. If the result is positive for streptococcal bacteria, the diagnosis of strep throat is confirmed. However, a negative test result does not definitively rule out strep throat, as rapid strep tests are not always highly sensitive (anywhere between 5% to 30% of rapid strep tests fail to detect streptococcal bacteria when they are in fact present). Throat culture: If the rapid test result is negative, generally a throat culture is sent to the lab for further testing. The throat culture is obtained in the same manner as the rapid strep test. The results are generally available within 24 to 48 hours. If streptococcal bacteria grow during this time, the test result is positive, and the diagnosis of strep throat is confirmed. The throat culture is the gold standard test for diagnosing strep throat. If the rapid strep test is negative after an initial visit to a healthcare professional, a throat culture is generally sent to a lab for further testing. The healthcare professional should contact the patient if the throat culture results are positive for strep throat. In this case, a course of antibiotics will be prescribed. Strep throat must be treated with antibiotics to resolve the infection. 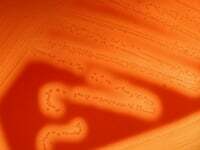 If antibiotics are not prescribed for treatment, complications may occur such as scarlet fever, acute rheumatic fever, abscess formation, poststreptococcal glomerulonephritis, or streptococcal toxic shock syndrome. It is important to report any side effects while taking antibiotics. Any rash, swelling of the lips and tongue, or difficulty breathing may indicate an allergic reaction to the particular antibiotic prescribed. If any of these symptoms develop, discontinue the antibiotic and consult a healthcare professional immediately. The symptoms of strep throat should generally begin to improve after a few days. If symptoms are not improving, or if symptoms worsen, the patient should contact a healthcare professional. A small number of people with strep throat may be caused by bacteria that are resistant to the antibiotic that you were prescribed. If this is the case, symptoms may not improve and a healthcare professional should prescribe a different type of antibiotic. In general, treatment at home consists of measures to control the pain and associated symptoms of strep throat. The vast majority of cases of strep throat can be managed at home, unless rare serious complications develop. Various home remedies and over-the-counter medications are useful in relieving the symptoms of strep throat. Drink plenty of fluids to avoid dehydration. Because fever can increase fluid loss and painful swallowing can decrease fluid intake, measures must be taken to avoid dehydration. Choose high-quality fluids such as warm soup broth (which replaces both salt and water loss) and sugar-containing solutions (they help the body absorb the fluids more rapidly). Avoid caffeine because it can cause water loss. Sometimes cold beverages, Popsicles, and ice cream can be soothing and beneficial. Throat lozenges can sometimes provide temporary relief for a minor sore throat. Various formulations exist, though they are not recommended for young children, due to the possibility of the child aspirating the small lozenge. Gargling with salt water is also sometimes helpful; people may try mixing table salt (about 1 to 2 teaspoons) with warm water (about 8 oz) and gargling. Over-the-counter (OTC) pain medications. OTC pain medications such as acetaminophen (Tylenol) and ibuprofen (Motrin or Advil) can be effective for reducing fever and providing pain control. Adequate pain control can also help with increasing fluid intake. Get extra sleep. Adequate rest and sleep can promote a more rapid recovery. Herbal teas. Herbal teas containing ingredients such as licorice may also provide significant pain relief. When the diagnosis of strep throat is confirmed by laboratory testing or when it is highly suspected clinically, antibiotics are generally prescribed. If administered early, antibiotics can help decrease the duration of symptoms (by about 1 day), and they can also make individuals less contagious within 24 hours of initiating treatment. More importantly, antibiotics are effective in preventing the uncommon potential complications of strep throat. Without antibiotic treatment, strep throat will generally improve on its own within 2 to 5 days, as it is a self-limited disease that will run its course without complications in the majority of cases. This effective, inexpensive antibiotic can be administered orally for 10 days, or a one-time injection can be administered in those individuals who may not be compliant or able to tolerate oral medications. Penicillin derivatives, such as amoxicillin, are also effective. This class of antibiotics has been found to be very effective in the treatment of strep throat, and is a reasonable alternative to penicillin. This class of antibiotics (erythromycin, azithromycin (Azithromycin 3 Day Dose Pack, Azithromycin 5 Day Dose Pack, Zithromax, Zithromax TRI-PAK, Zithromax Z-Pak, Zmax) and clarithromycin (Biaxin, Biaxin XL, Biaxin XL-Pak) and are recommended in individuals who have a penicillin allergy. Acute rheumatic fever: A serious complication of strep throat in which antibodies from the body's immune response to the untreated infection mistakenly attack joints, skin, and the heart. Damage to the heart valves and heart muscle can lead to congestive heart failure. This condition is now less common in the United States after the widespread use of antibiotics, though outbreaks still occur. Symptoms generally develop about 2 to 4 weeks after the onset of strep throat. Abscess formation: A collection of pus (abscess) can develop around the tonsils (peritonsillar abscess) or at the back of the throat (retropharyngeal abscess). These conditions require antibiotics and frequently drainage of the pus. Poststreptococcal glomerulonephritis: This condition is thought to be an immune-mediated disease following infection with certain strains of Group A Streptococcus. It is most common in children between 2 to 12 years of age, and leads to kidney damage which frequently improves with treatment. Streptococcal toxic shock syndrome: A rare and potentially life-threatening illness caused by toxins released by Group A Streptococcus. Low blood pressure, fever, and rash can occur, with the potential for multi-organ failure. Scarlet fever: A disease that can occur in some individuals with strep throat, who in addition to having fever and sore throat, also develop a characteristic red rash (that feels like sandpaper). It is usually seen in children younger than 18 years of age and it responds well to antibiotics. Generally speaking, the prognosis for treated strep throat is very good. Antibiotics can shorten the duration of symptoms, reduce transmission and prevent potential complications. The symptoms will typically improve in a few days. Recurrence of strep throat is not uncommon, especially in individuals who are not compliant with the full course of antibiotic therapy. The prognosis for untreated strep throat is variable, and some individuals can go on to develop serious complications. The best preventive measure against strep throat involves instituting measures to minimize the spread of the illness to others. There is currently no vaccine available to prevent strep throat. Keep eating utensils, dishes, and drinking glasses separate from any infected person. Do not to share food and drinks, napkins, handkerchiefs, or towels because infection may spread by these objects of personal use. Cover the mouth and nose when you sneeze or cough, this helps prevent the release of infected airborne droplets. Washing the hands frequently will decrease the chances of both the infected person and uninfected individuals from spreading the bacteria to others and uninfected individuals acquiring the infection. How long did the symptoms of your strep throat last? Was there anything in particular that helped with pain/symptom relief? What treatment did you receive for your strep throat? Tell us your experience with strep throat. What remedies have you found helpful in soothing the symptoms of strep throat?